We’ve pointed-out to a few of our suppliers lately that their invoices weren’t compliant with tax invoice requirements of the ATO. So here are a few tips for those of you with small businesses which are registered for GST. Your full business or company name. Description of goods and/or services sold. The total price of what is sold (including GST) coupled with the statement “Total price includes GST” (if one-eleventh of the total price). Show the GST separately, and the total price of what is sold (including GST). The total price of what is sold (including GST). The buyer’s business name, company name or personal name. Include the statement “The total price includes GST”. 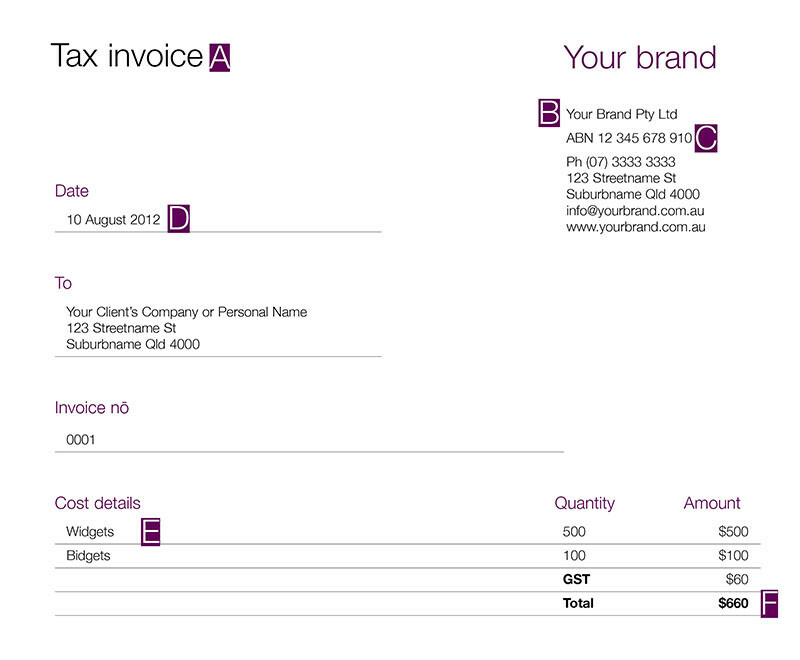 Include a sub total which identifies the amount of GST charged. Include the GST applicable per unit. If you have a mix of taxable and non-taxable sales, or you have any questions about tax invoices, then we strongly suggest you talk directly to your accountant or the ATO about invoicing. You should include payment terms and payment alternatives. 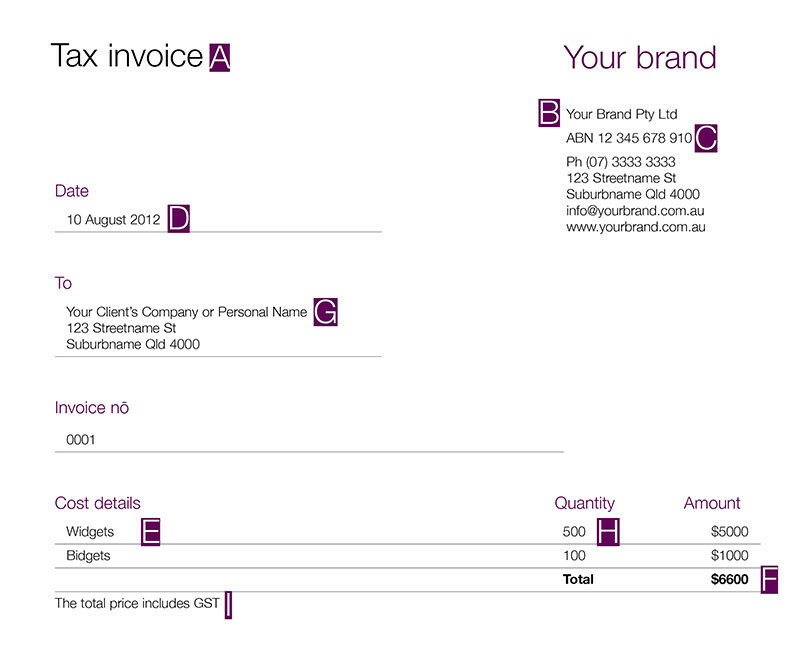 And finally, if you want your invoices to look professional and reinforce your branding, then contact Creative Passion.